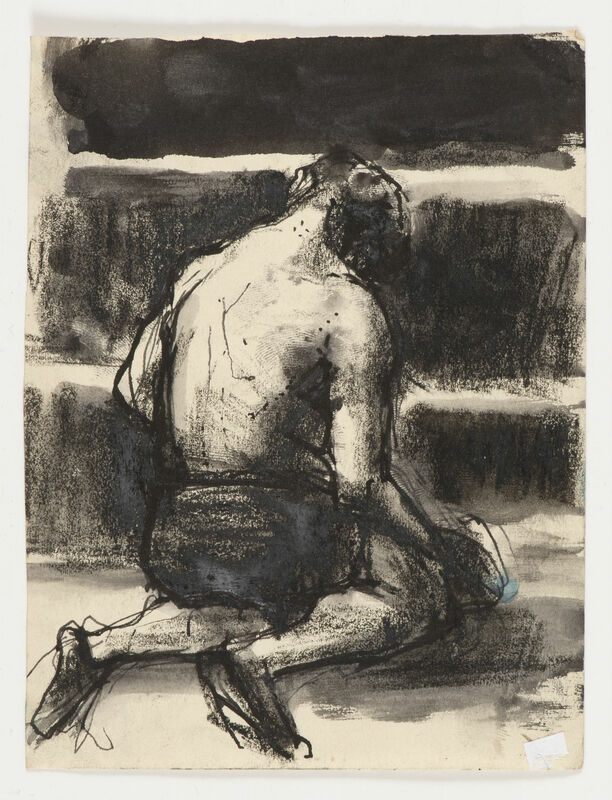 description A three-quarter length figure study of a boxer sparring in an East End gym. 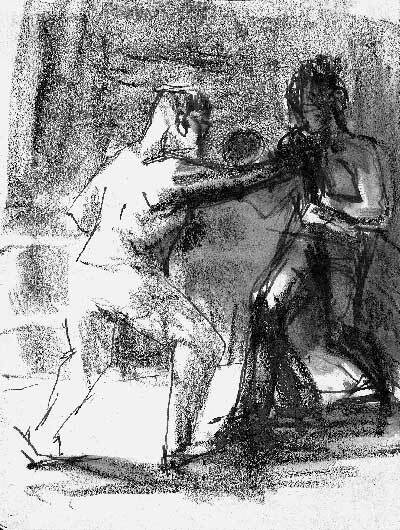 One of a small series of works on this subject in pen and ink and charcoal that show Frankfurther engaging with the figure in movement. 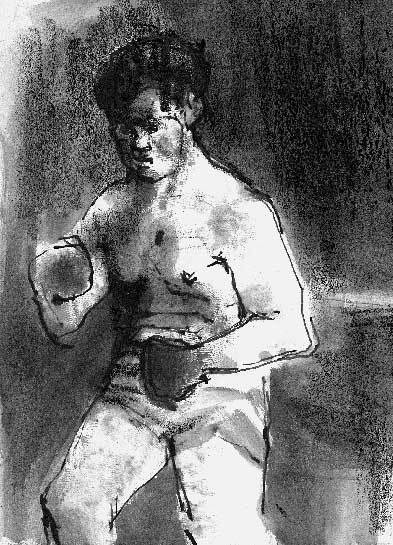 The angle of the figure and position of his legs suggest that this may be the same sitter who appears, partly in the shadows, in the related sketch 'Boxing Match'. literature ed., B. Planskoy, 'Eva Frankfurther 1930-1959: Paintings, lithographs and drawings' (London: Peter Halban, 2001), illus., p. 51.